Mehgan Heaney-Grier during her North American record setting 165 foot dive in the waters of the Florida Keys. August 25, 1997. Mehgan Heaney-Grier is a life-long adventurer who specializes in pushing boundaries and thrives on personal challenges. Her drive and passion for the ocean helped her establish the first U.S. freedive record for both men and women in the constant weight category in 1996, with a dive to 155 feet on a single breath of air. Less than one year later she bettered that record with a dive to 165 feet. In 2000, Mehgan was one of the original inductees into the Women Diver’s Hall of Fame for her leadership and outstanding contribution to the field of diving. 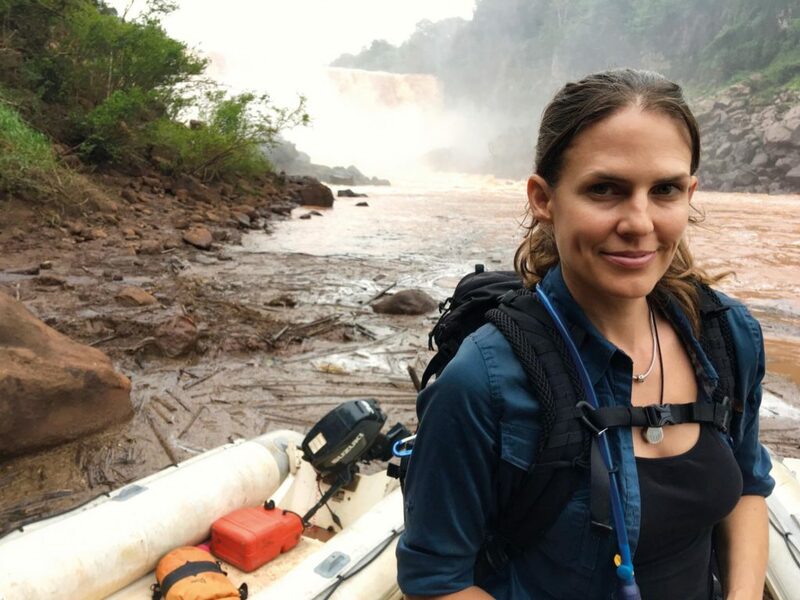 She holds a degree in Ecology Evolutionary Biology, and Anthropology, and has worked in the field with sharks, alligators and other marine and land based predators more than 20 years. An accomplished athlete, stunt diver, television personality, and marine conservationist, Mehgan Heaney-Grier is a strong female figure and a positive role model for youth around the world. She has been featured in publications worldwide such as Life, People, and Outside magazines, and has starred-in and appeared on hundreds of television shows. Hollywood films such as Pirates of the Caribbean, and Into the Blue, have utilized Mehgan’s underwater expertise to perform difficult underwater stunts for leading ladies such as Keira Knightly, Jessica Alba, and Olivia Wilde. Starting in 2015, Mehgan worked as the team Divemaster for two treasure hunting expeditions in South America that were later featured on the Discovery Channel series, Treasure Quest: Snake Island. Most recently, Mehgan was Series Host and Executive Producer for a documentary web series called, A Rising Tide. The series featured the journey of eight high school students on scholarship from Colorado, as they earned their scuba certifications, got an introduction marine science and learned about current ocean issues. For the series, Mehgan mentored and worked one-on-one with the students, helping to foster their connection to the sea and gain a better understanding of the impact we all have on the ocean – and most importantly, the positive difference we can all make, no matter where we live! Mehgan Heaney-Grier’s love of freediving and the ocean environment ignited a strong passion for science, conservation, and exploration from a young age. Today, these passions continue to fuel and give substance to her pursuit of water and land-based adventures. Through mentoring and her work with a variety of nonprofit organizations, Mehgan Heaney-Grier is dedicated to doing what she can to be “part of the solution” when it comes to raising awareness about issues important to her, like the critical health and future of the world’s oceans.